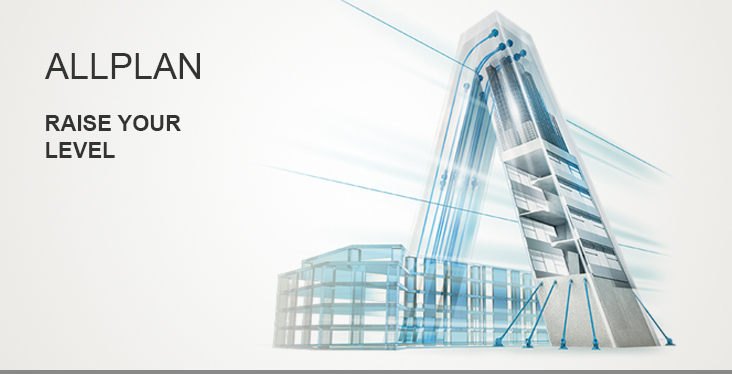 Allplan Engineering Building is a powerful BIM tool that is optimized to the work processes of structural engineers in building construction. Due to a direct connection to the cloud-based BIM platform Allplan Bimplus, Allplan Engineering Building is a complete BIM solution (up to BIM level 3). The software helps you to reduce planning and construction times and comply with cost frameworks. The basis is a virtual model from which shell and reinforcement plans are generated with sections, views and visualizations as well as quantity determinations and bending schedules. The model also serves as the basis for structural calculations. Allplan Engineering Building simplifies and accelerates planning and construction, reduces sources of errors and leads to a better common understanding of all those involved in the project. Seamless design process - Allplan Engineering Building supports the entire design process in a single system - from the initial draft right through to the final general arrangement and reinforcement drawings. Reinforcement at the highest level - an integrated 3D model, complete with reinforcement, fixtures, and if necessary tendons, provides the highest possible design reliability and clarity. Impressive design documents - the powerful layout and design tools enable you to create high-quality design documents that make the value of your work clearly visible.